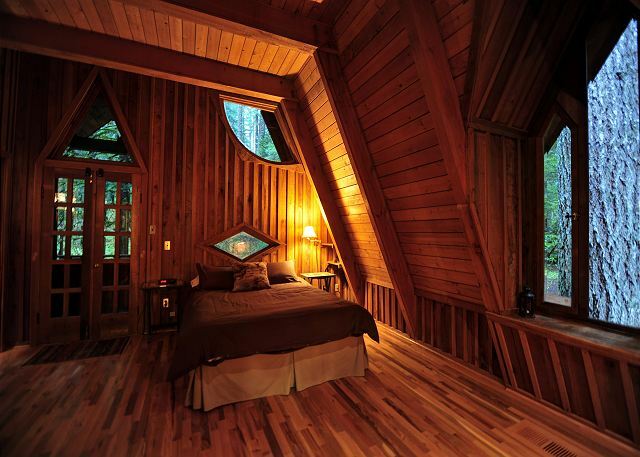 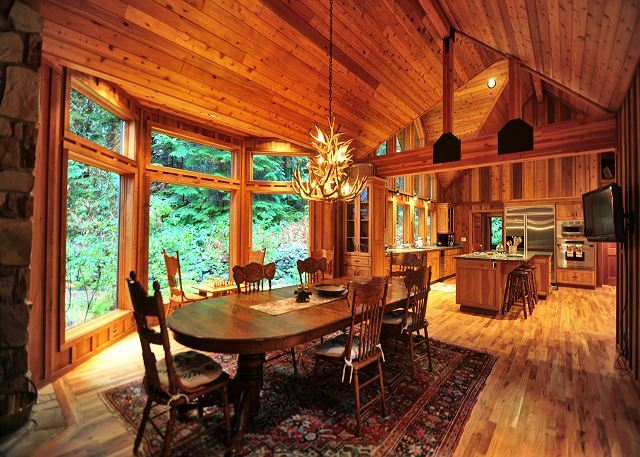 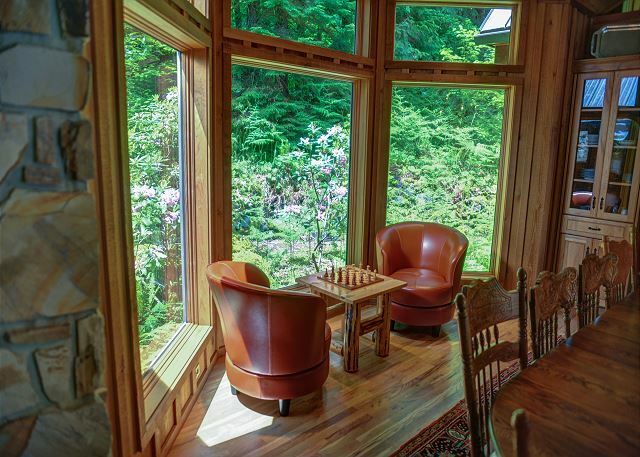 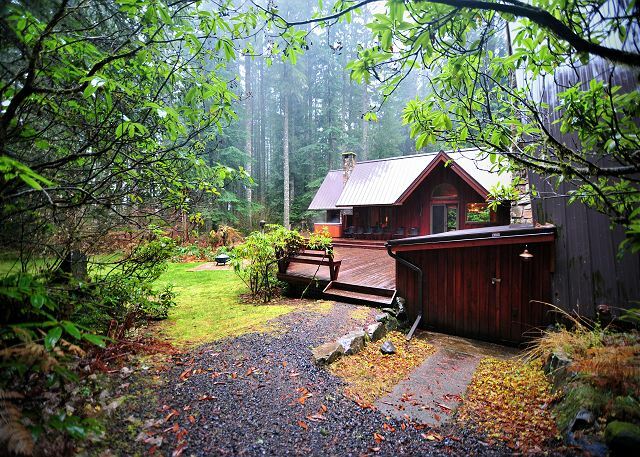 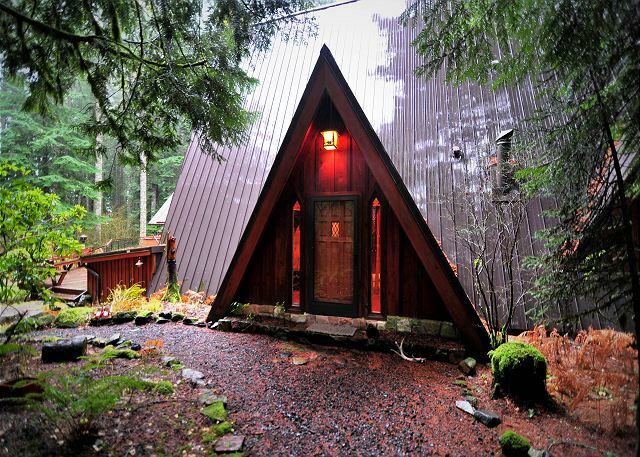 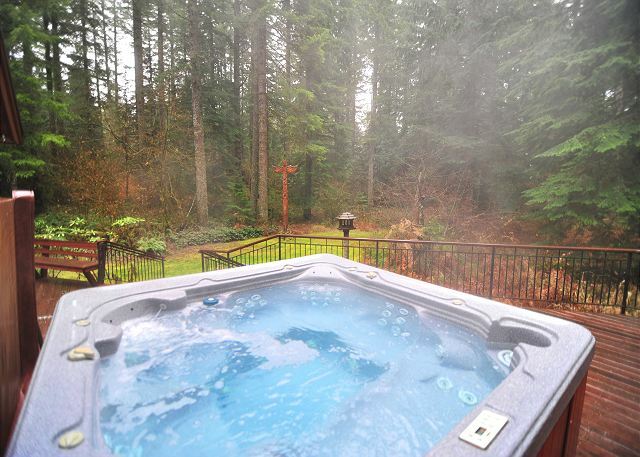 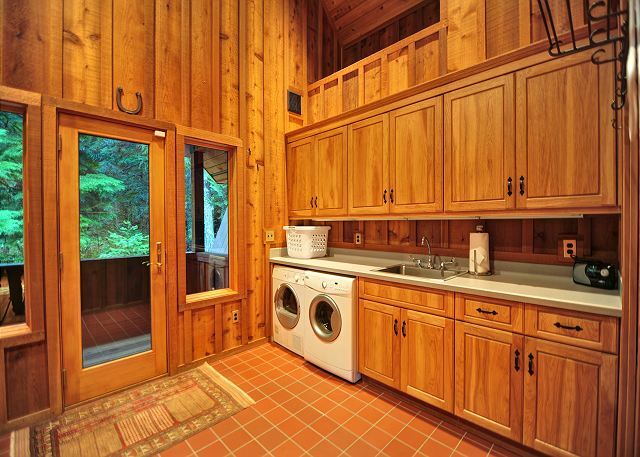 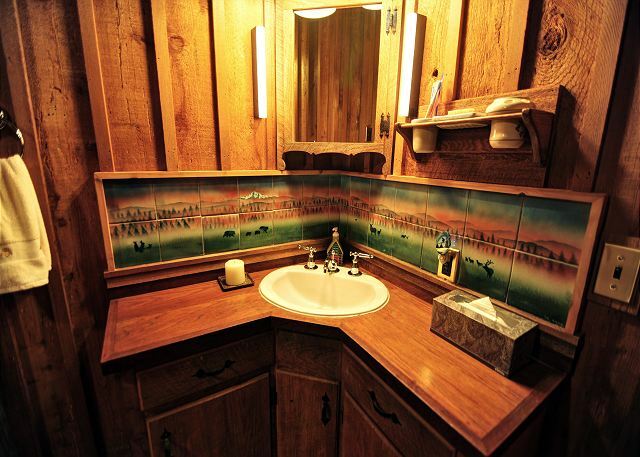 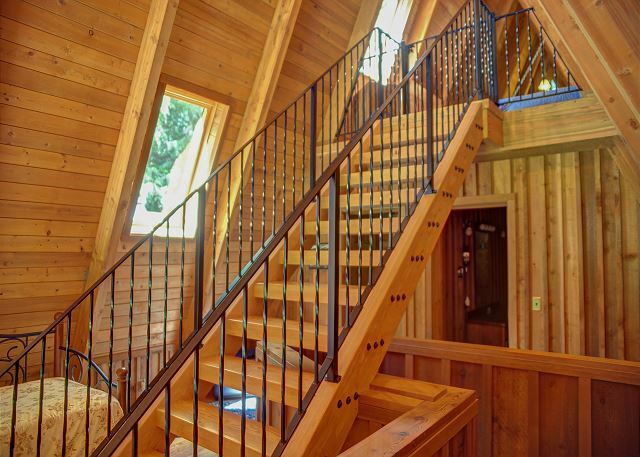 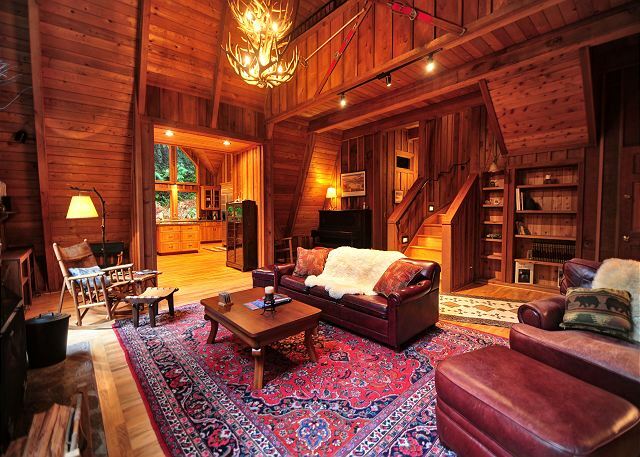 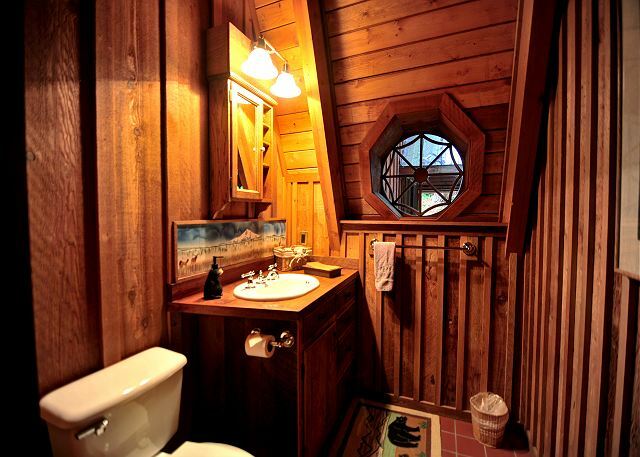 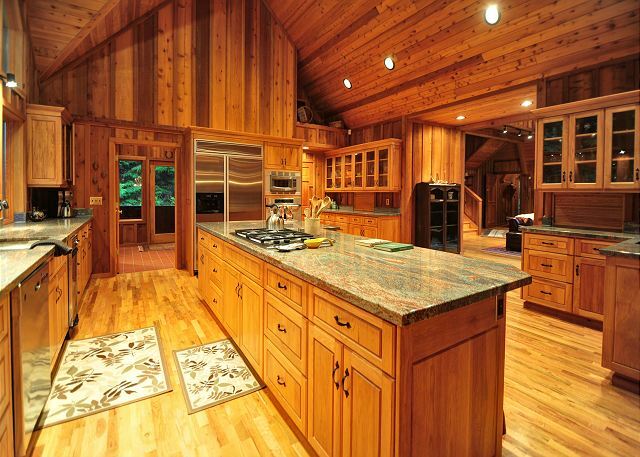 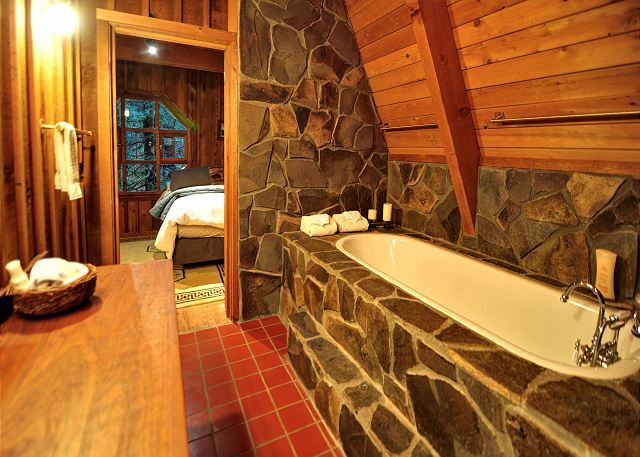 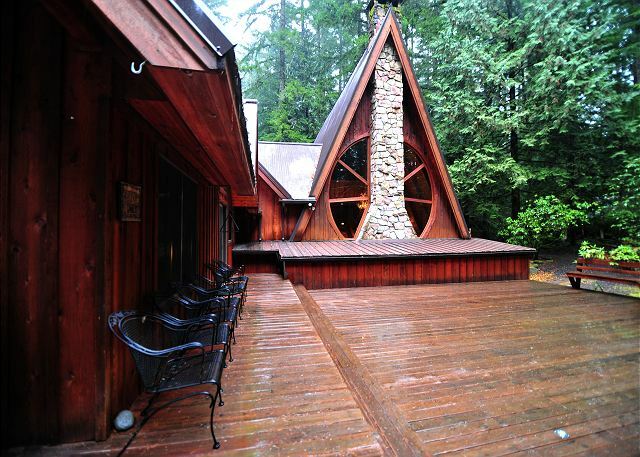 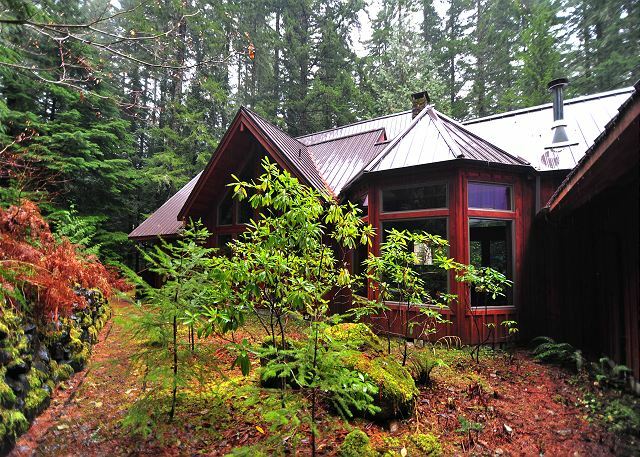 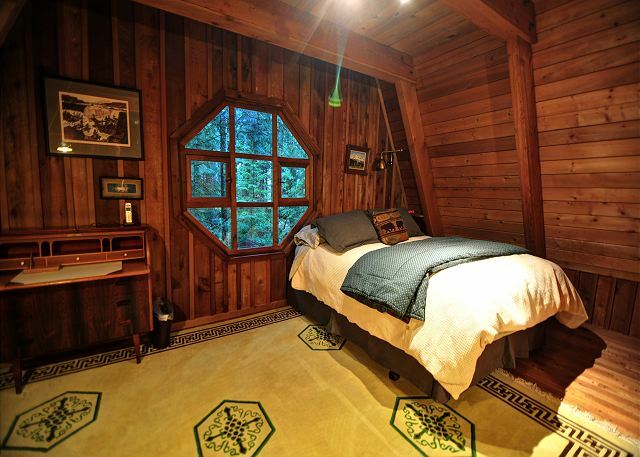 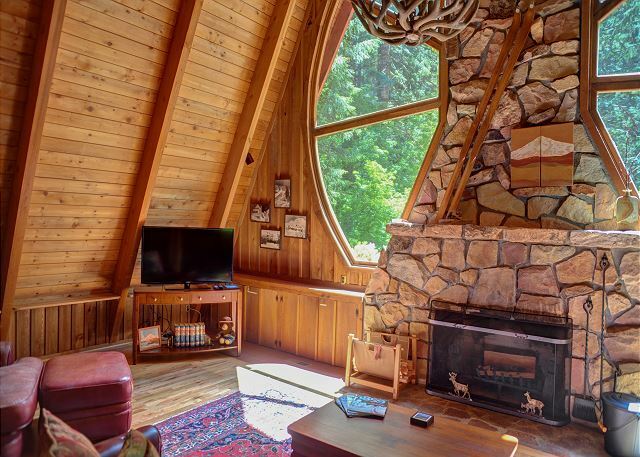 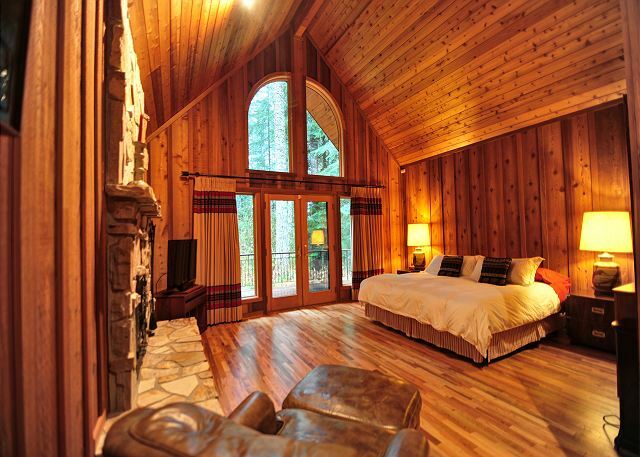 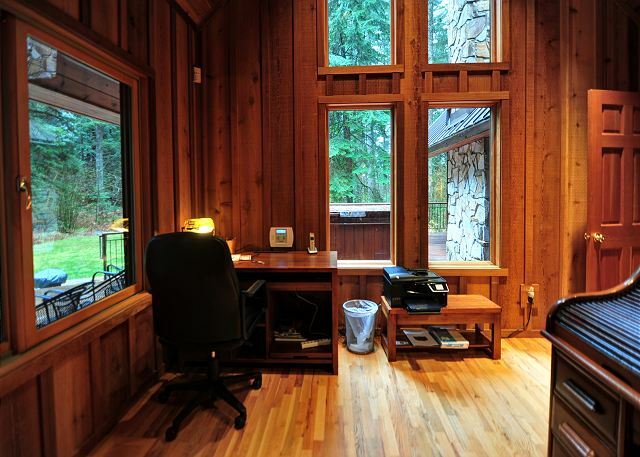 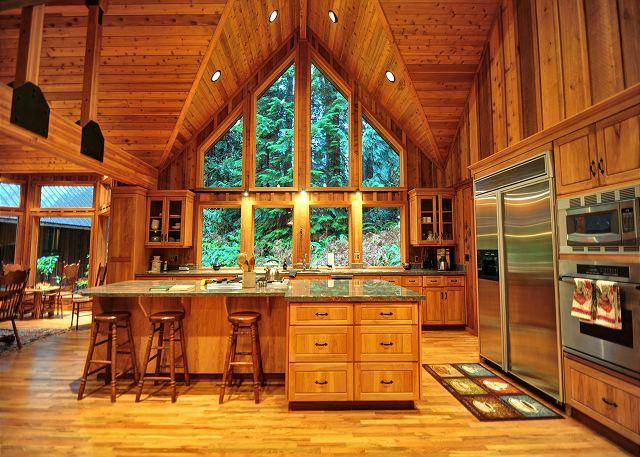 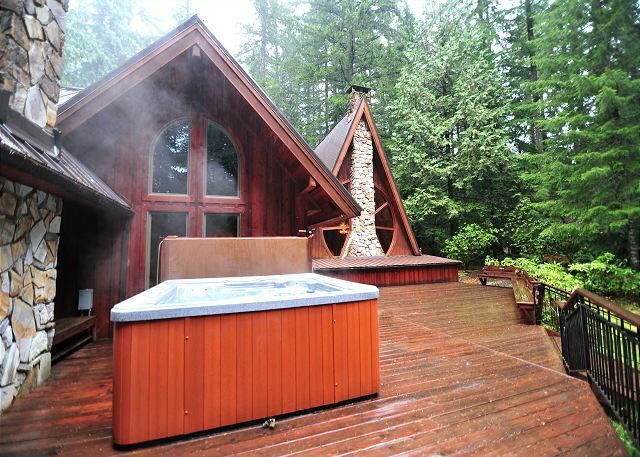 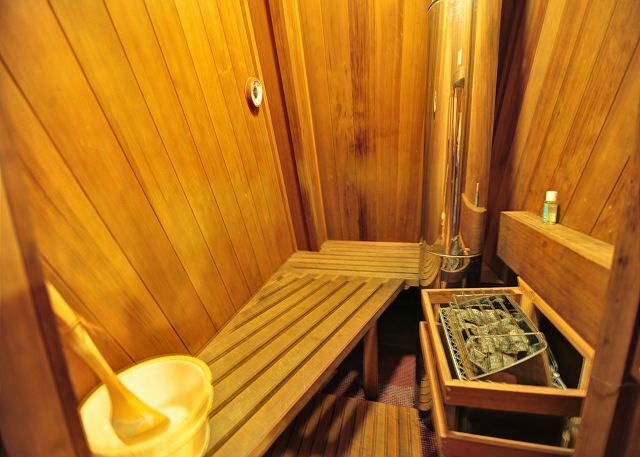 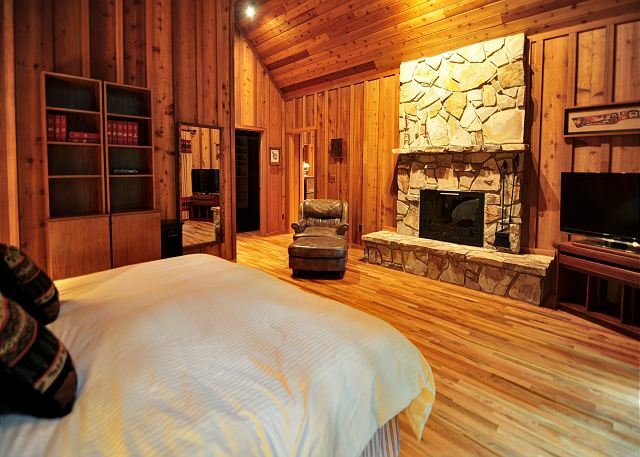 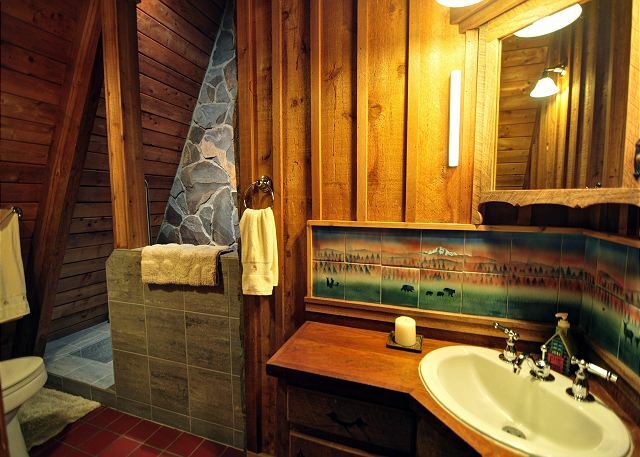 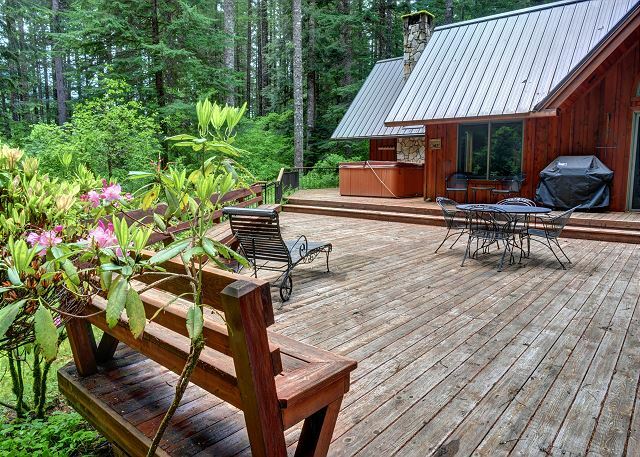 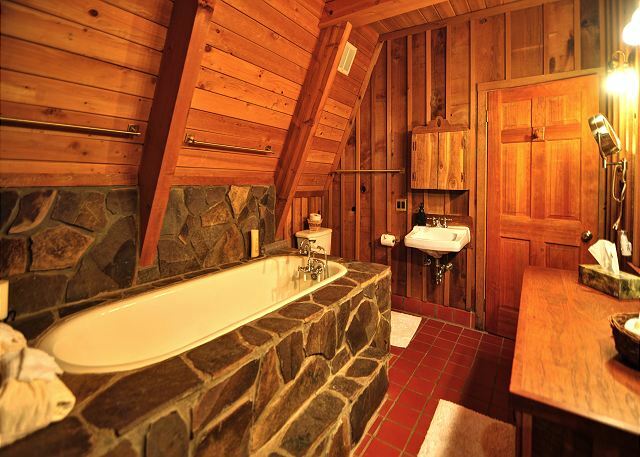 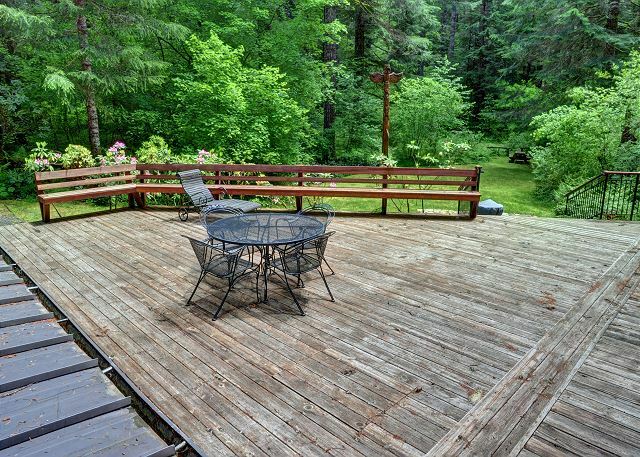 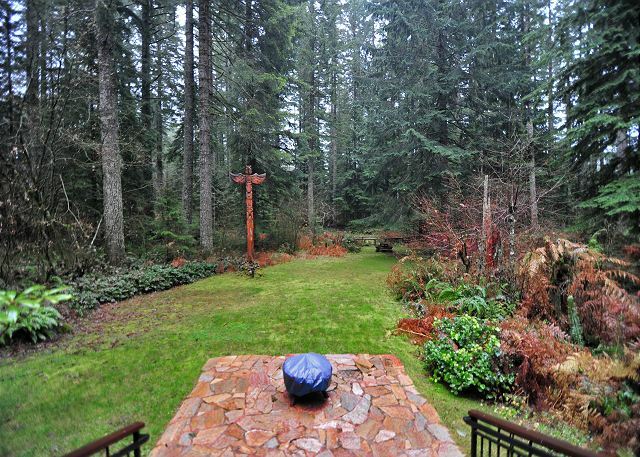 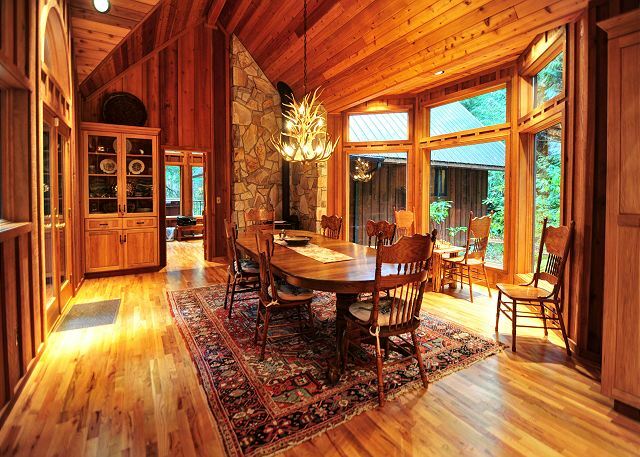 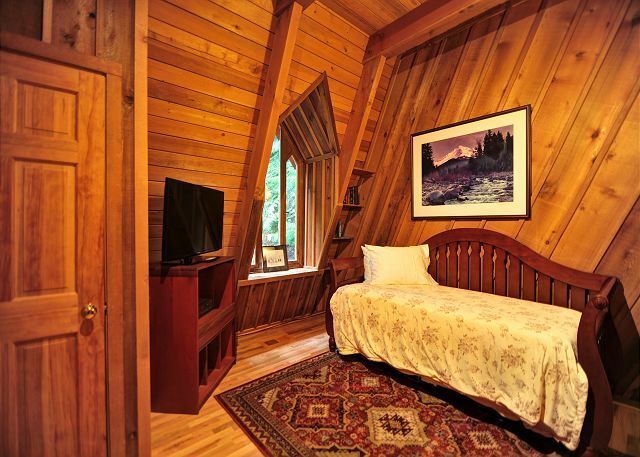 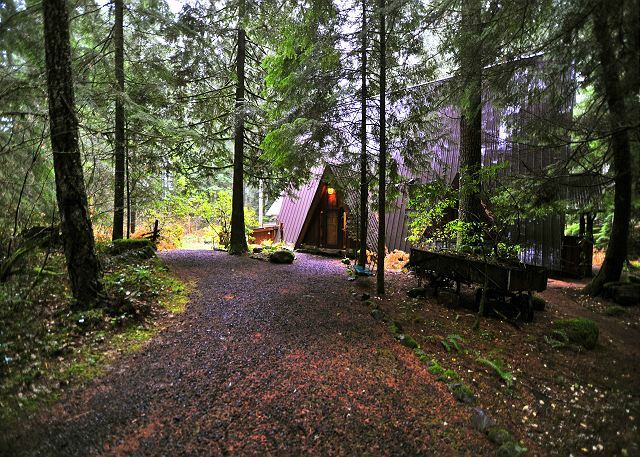 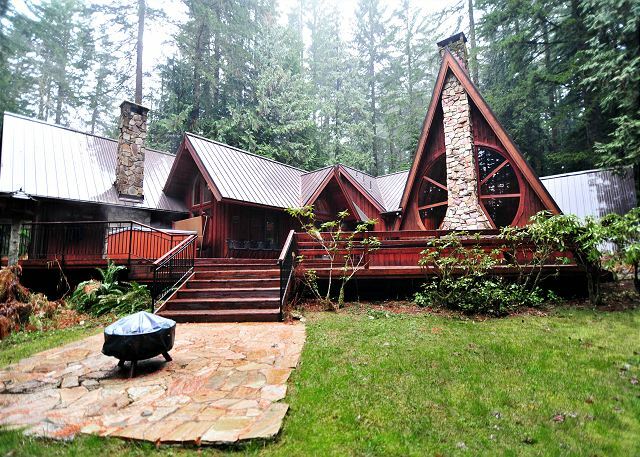 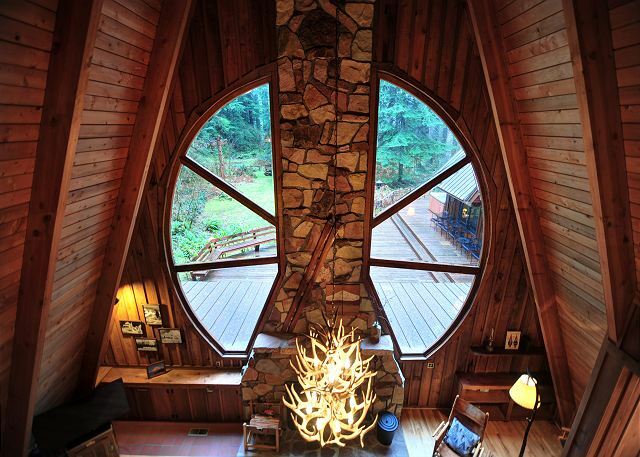 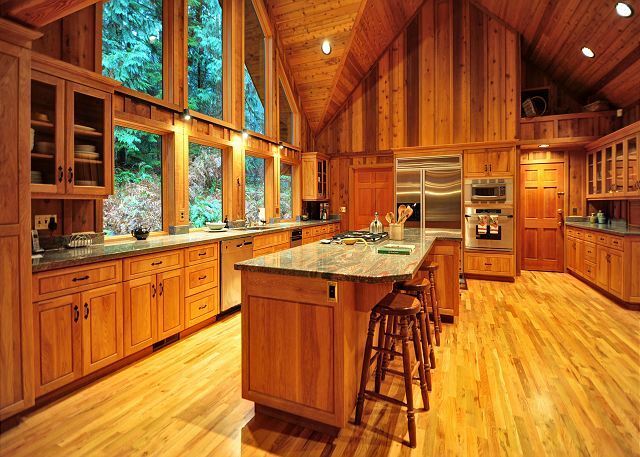 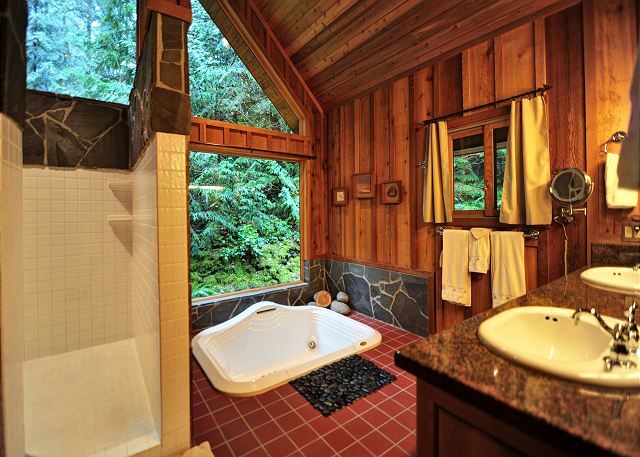 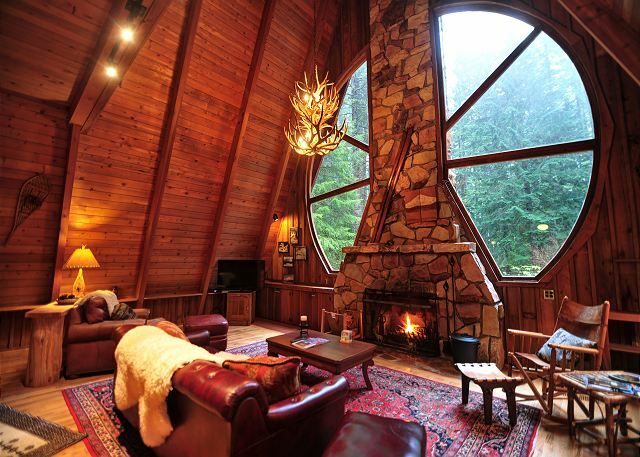 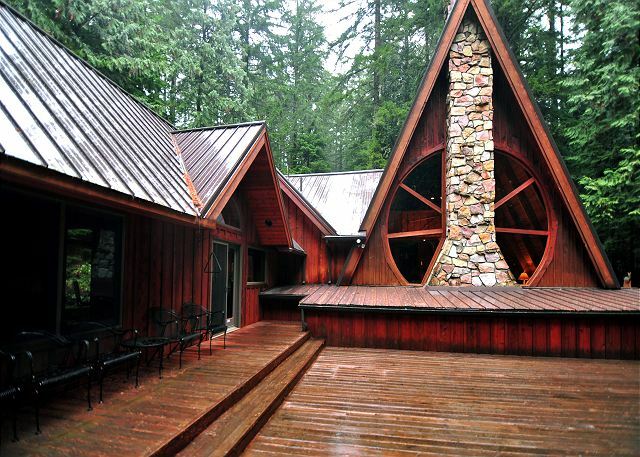 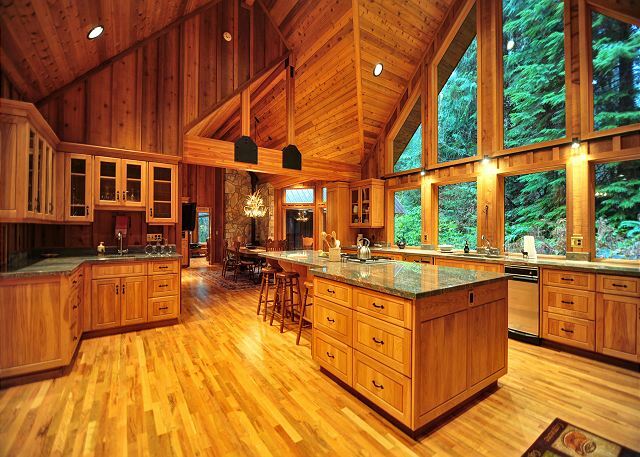 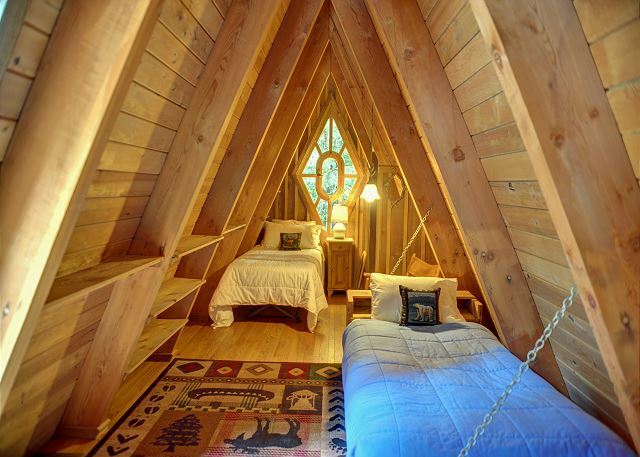 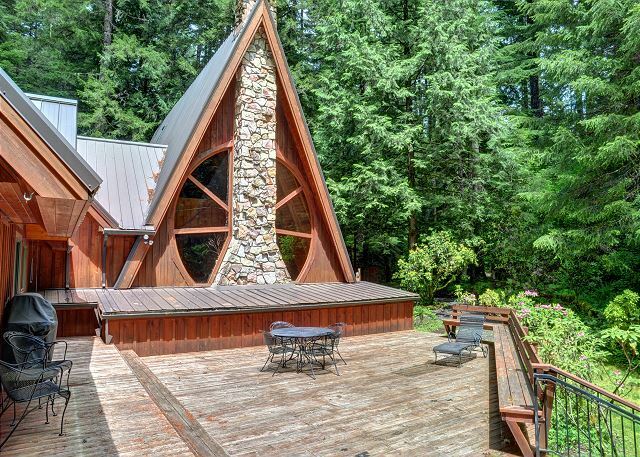 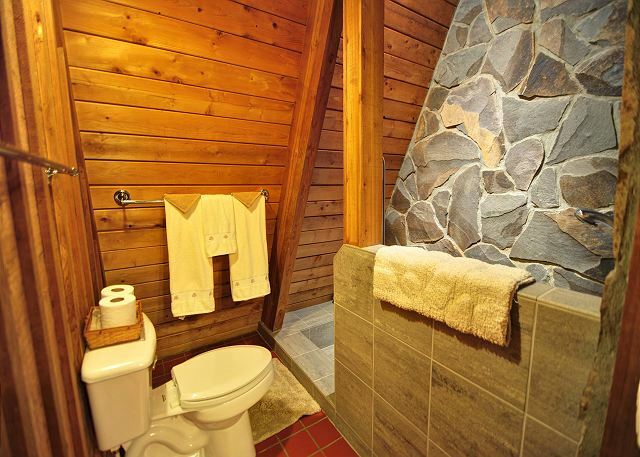 Forrest Lodge is set in a majestic stand of old growth on 3 acres of land with groomed trails. 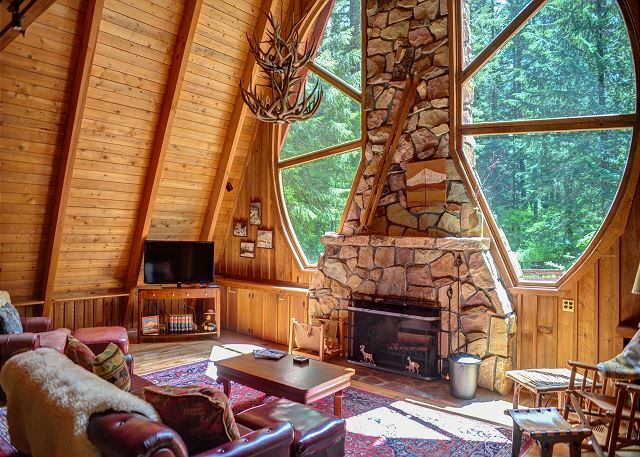 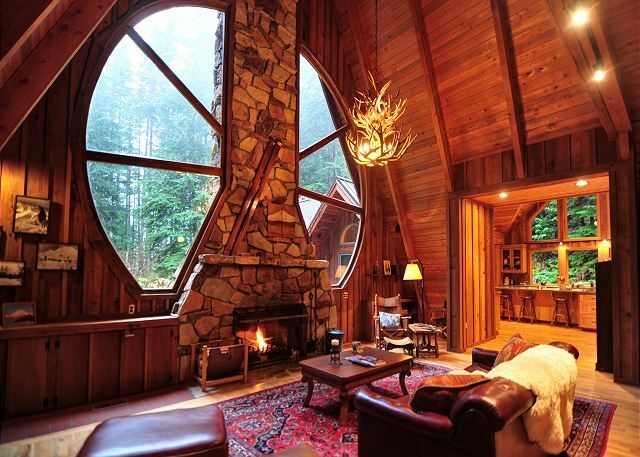 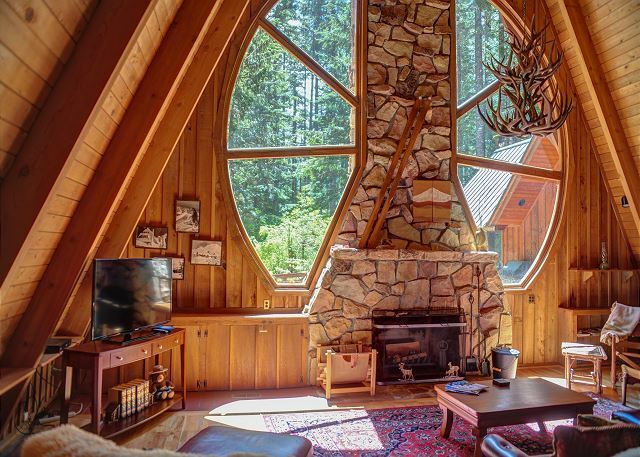 The 4200 sq ft A-frame home soars 40' and features all wood interior and massive round beveled-glass windows for optimal scenic views. 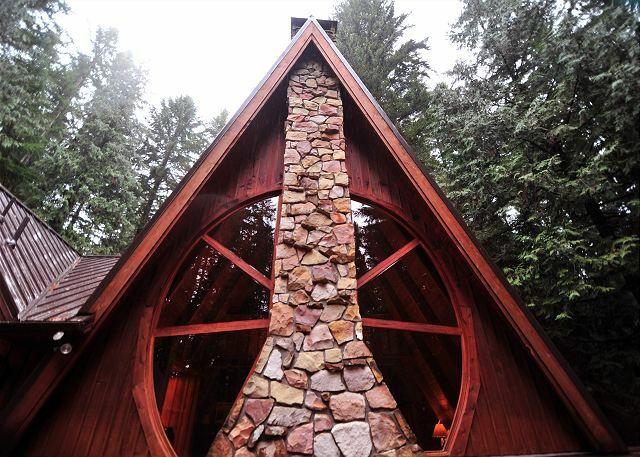 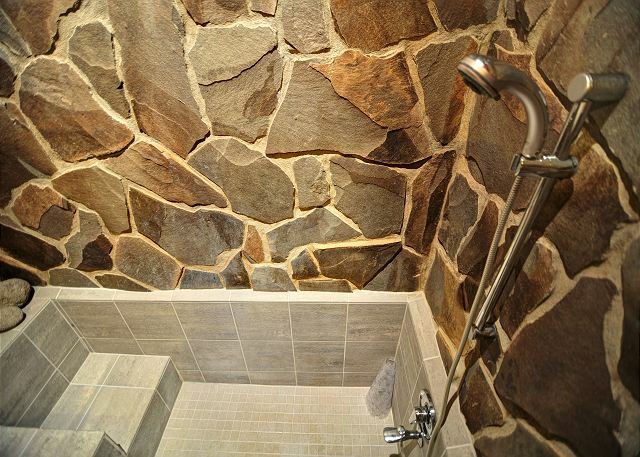 There is a hand built stone chimney fireplace, 2 lofts, sauna, hot tub, huge gourmet kitchen, 2 master suites plus two bedrooms! 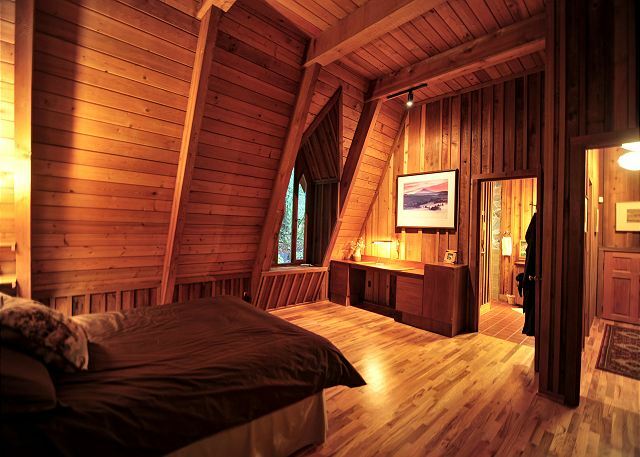 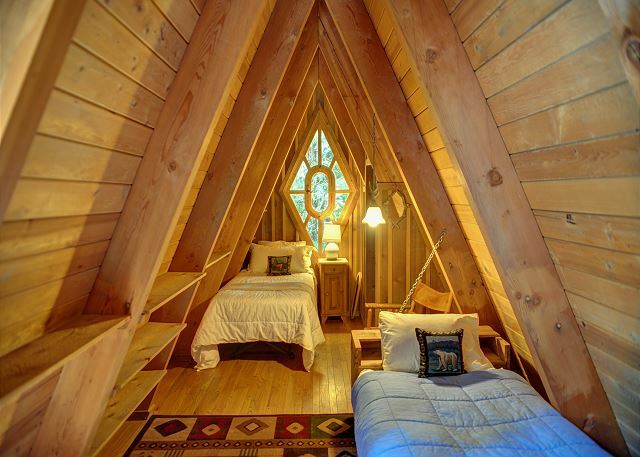 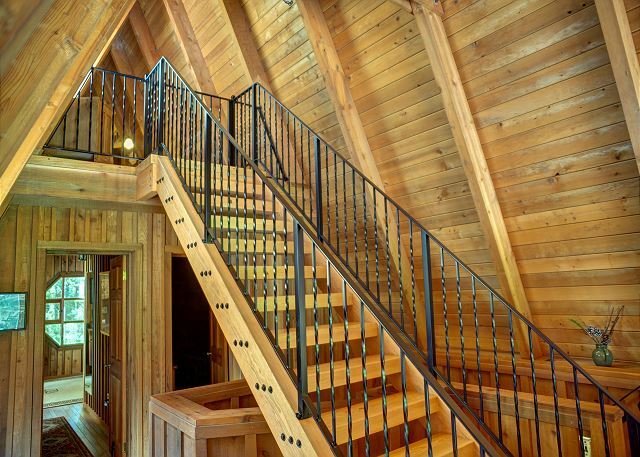 Sleeps 12 – 4 bedrooms , 1 King Suite, 2 Queen Suites, twin trundle in loft, and 2 twins in third story loft.